I know Freepik icons may not be used as logo types, but logos and icons are two different things. I have a mobile app that I intend to sell, can I use an icon from Freepik and use it as the app icon? If you are dead set on this workflow idea, then either use the free license and clearly attribute it not being your work or pay the minor fee to get full license - see screencap below. That said, it's a lousy business model idea for you to do so on several fronts: it marks you as unprofessional in that you're having to use someone else's work and having to attribute, or you pay the license fee and get a generic as hell icon for your app icon; it reflects poorly on your creativity and/or long-term vision to be using lowest-cost, lowest specificity/stock icon resources versus either paying a real designer and giving them a specific brief and engaging in that process or designing it yourself to the best of your abilities; it also marks you as fly-by-night - the kind of developer who is here today, and will not be here next week to support their app. I'd suggest strongly that you consider hiring a designer, paying them decently, and engaging in a full process - or if you already have an in-house designer, assigning a project to them of the app icon design, designating enough real budget and time to them to do a decent job, and again, engaging with the process. Luckily for you when you download a graphic from Freepik they have a screen that tells you what you need to do to give proper attribution to the content's creator. In your case, you need to click the How to attribute the author for other media? link. You are then shown a new window where you need to navigate to the Apps/Games. Follow the instructions and you are on your way! Here is their FAQ about using elements in Apps/Games. Can I use Freepik's images on my App/Game/Video which I intend to sell? This is permitted as long as you comply with the policies regarding the use of our resources which include using these as secondary elements of your design, the non-redistribution of our resources and credit to the author if you’re not a Premium member. 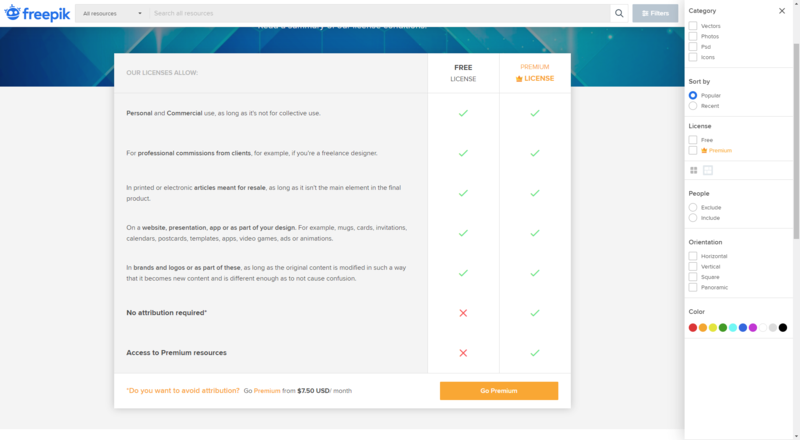 So depending on the graphic you have to attribute it correctly or if the designer doesn't allow attribution you need to buy a Freepik Premium Plan Here. Not the answer you're looking for? Browse other questions tagged icon copyright applications or ask your own question. How would you differentiate a dismiss icon from a delete icon?